Jailbreaking your PlayStation 3 gives you the ability to add custom firmware and homebrew programs onto your video game console. A backup manager will allow you to add backups of your PS3 games and play them from the console's hard disk drive. The "Install Packages" option added to your console after jailbreaking will be used to install games to your console. Download “LVL2.pkg,” “Rogero_Manager v7.8 Stealth ID,” “PSPUDAT.pkg” and “Multiman” from Kat.com and save these files to your USB storage device. 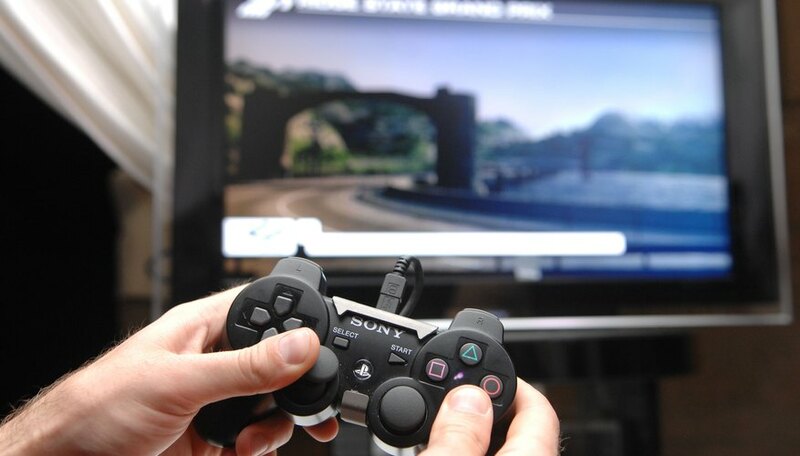 Insert the USB storage device into your PS3 console and navigate to the "Games" menu on the XrossMediaBar. Highlight the "Install Packages" option from the menu and press the "Triangle" button to load the options menu. Select the "Install All Packages" option. Disconnect your USB devices from the PS3 after the packages have loaded. Select "LVL2.pkg" from the Games menu and launch it by pressing the "X" button. Connect your USB device to your computer and delete the stored files on the device. Create a folder named after the game that you wish to load onto your console. Launch UltraISO. Click "File" and then click "Open" to select an ISO file saved on your hard drive. Click "File." Click "Extract" and extract the ISO file to the folder you created on your USB storage device. Insert the USB device into your PS3 console and navigate to the "Games" menu on the XMB. Select the "Install Packages" option and choose to install the folder you created to your console. Select "Multiman" from the Games menu and press the "X" button on your controller to launch the program. Multiman will display a list of stored games on the PS3 console. Select the game of your choice and press the "X" button to launch the game. The "LVL2.PKG" file must be run each time you restart your PS3. Obtaining ISO files and other copies of video games that you don't own is illegal. Consult the Digital Millennium Copyright Act to determine the legality of your personal ISO files. Jailbreaking and installing software to your PS3 may damage the console beyond repair. Jailbreaking your PS3 console may void your warranty, and Sony may suspend your access to the PlayStation Network.